Come meet our team in person by scheduling an appointment today! 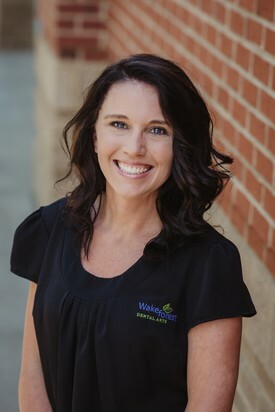 Leslie has been in the dental field since 2007 and a part of the Wake Forest Dental Arts family since 2013. In addition to her role as the Treatment and Financial Coordinator, she serves as the Administrative Team Leader in the office. Leslie is a native of North Carolina and currently resides in Clayton, NC. She and her husband have one daughter that keeps them on their toes! When she’s not at work she enjoys spending time at the beach and relaxing with her family! Leslie takes great satisfaction in knowing that she can help patients coordinate their treatment and finances so they can have a healthy, beautiful smile! Shawna brings a wealth of dental administrative experience to the office. She is a warm and welcoming person. When not at work she enjoys time with her family here in Wake Forest. Dani hails from Wisconsin and serves our patients at the Check-in position where she warmly greets you to the practice. She and her husband reside in Cary. 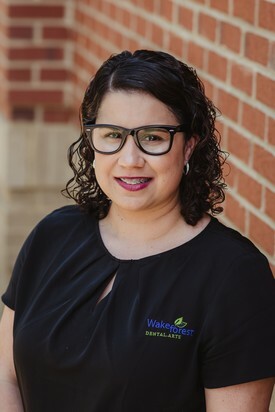 Nena has been part of the Wake Forest Dental Arts family since the beginning of 2015. She is a native of Virginia and moved to North Carolina when she was nine years old. She and her husband have two kids that are both very active in sports. They stay busy as a family year-round and love watching all of their kids activities. Nena transitioned from the medical field to dental in 2011. She has developed and extensive background in insurance and the administrative needs of a dental office. She is always excited to help educate patients on their dental insurance and benefits. Niche is our class clown! 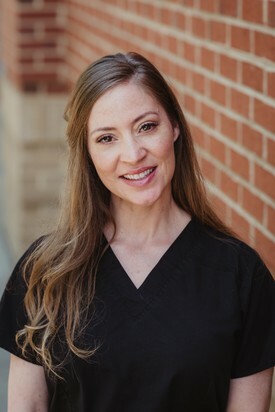 She has been a part of the Wake Forest Dental Arts family since January 2016. She was born and raised in Ohio and attended hygiene school at Wayne Community College. She moved to North Carolina in middle school. Niche and her husband moved to Franklinton in November 2015. They enjoy playing with their dog Magilla, spending time with their daughter and friends, puzzling and working out. Niche thoroughly enjoys being a hygienist. She will make you feel at ease, educate you on your oral health while distracting you with laughter throughout your appointment. 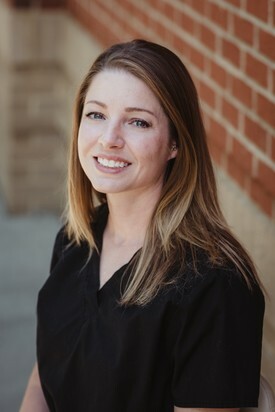 Shannon has been in the dental field since 2014. 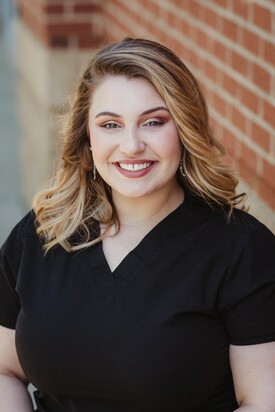 She joined the Wake Forest Dental Arts family in September of 2016. 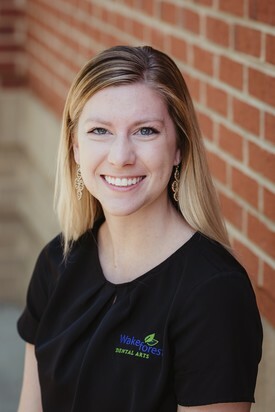 She is one of our Dental Hygienists and attended hygiene school at Wake Technical Community College where she graduated in 2014. Shannon currently resides in Raleigh and grew up in the Cary area. She has one crazy little boy who is always into something. When she is not at work, Shannon enjoys reading, tending her orchids, and anything outdoors. 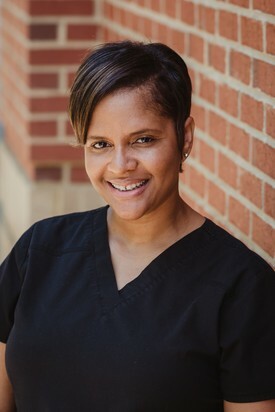 Tammy joined the Wake Forest Dental Arts family in May of 2017. She graduated from the University of Louisiana at Monroe with a Bachelor of Science in Dental Hygiene. She moved to North Carolina in 1994 to be closer to her family. Tammy and her husband moved from Apex to Wake Forest in 2003. In her spare time, she enjoys cheering for the University of Alabama (where her oldest is attending), being a band mom for her other two children, and playing with her golden doodle, Tater. 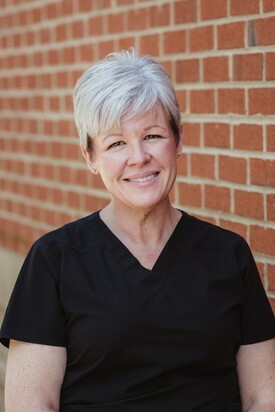 Tammy enjoys being a hygienist and educating her patients on the prevention of decay and the treatment of periodontal disease. 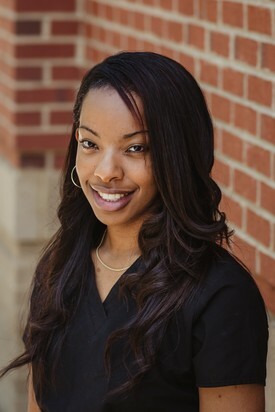 Jasmeane is one of our Dental Assistants. 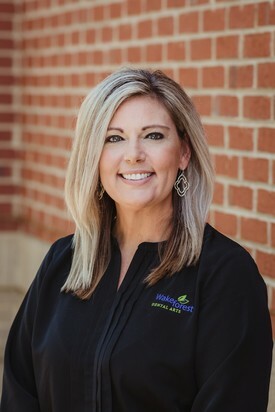 She has been part of the Wake Forest Dental Arts family since 2014. She is a North Carolina native, having been in the Triangle Area for over twenty years. She transitioned into the dental field after working in the IT field. She graduated from the dental assisting program at Wayne Community College in 2014. Jasmeane is the mother of three beautiful children. In her spare time she enjoys spending time with her family and friends. Jasmeane greets our patients with a friendly smile and helps them feel comfortable and relaxed in our environment. She enjoys being a dental assistant and helping to create smiles on an daily basis. Hannah earned her Dental Assisting certification at Sunrise School of Dental Assisting, and has been in the dental field since 2013. She joined our team in March 2017 and our patients enjoy her sweet smile and warm personality. Hannah is a North Carolina native and currently resides in Wake Forest, NC. She and her husband are proud parents to a handsome baby boy. When not in the office, Hannah enjoys spending time with her family, baking, and traveling. Kim is one of our Dental Assistants. She enjoys working with our doctors and helping to improve the lives of our patients by helping to deliver exceptional dental care.